Click on Advanced system settings in the task pane. Click on Settings in the Performance group. 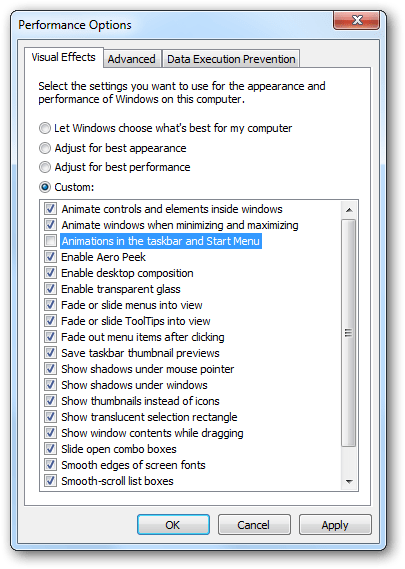 Uncheck Animations in the taskbar and Start Menu. Note that this tweak will disable all animations in your taskbar and start menu.